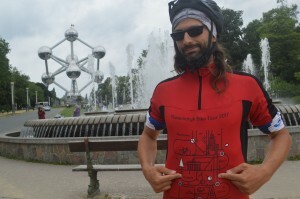 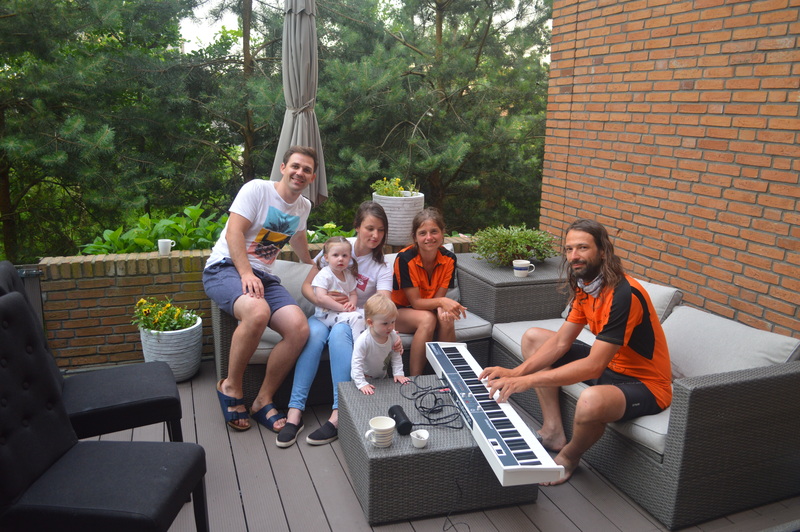 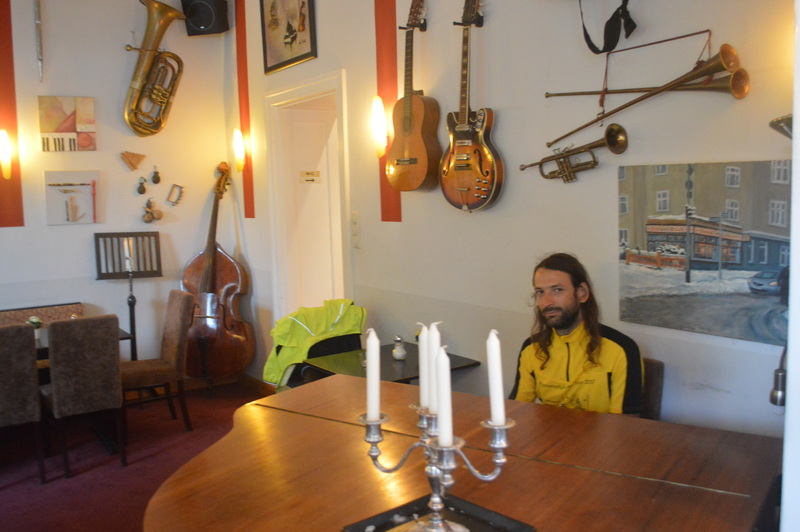 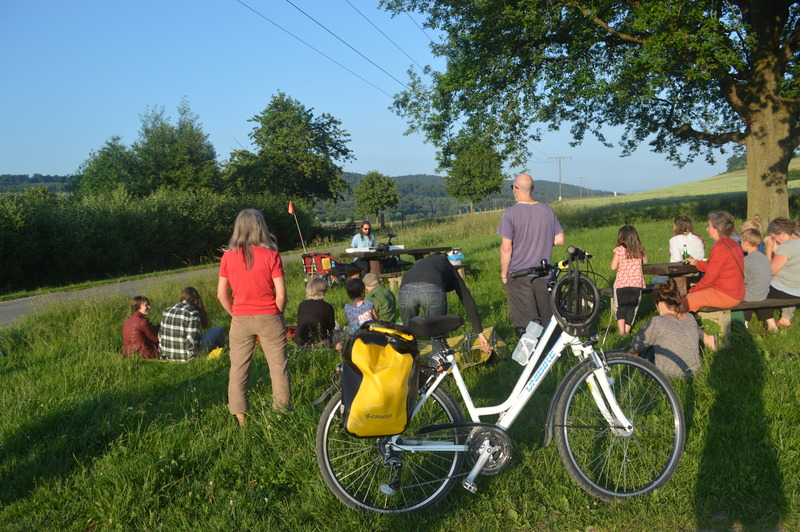 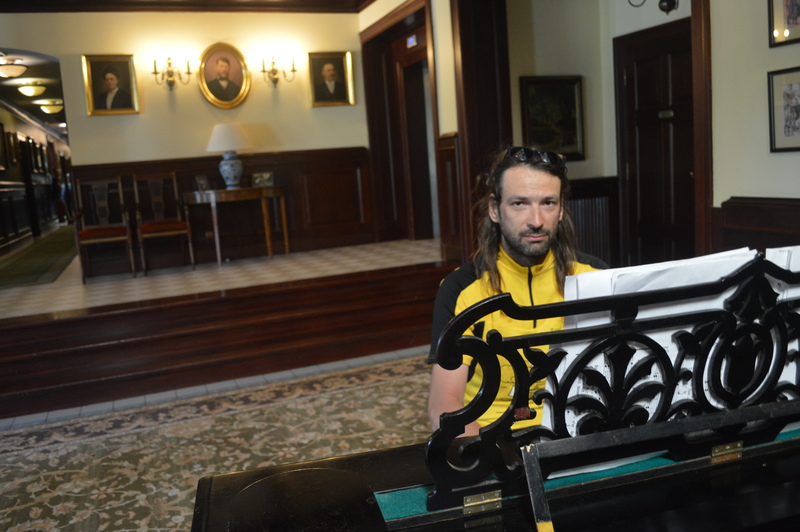 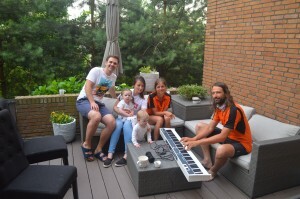 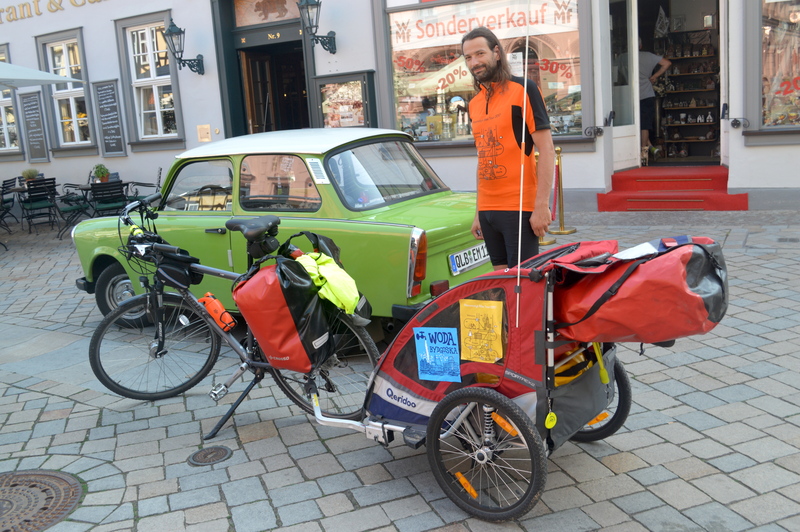 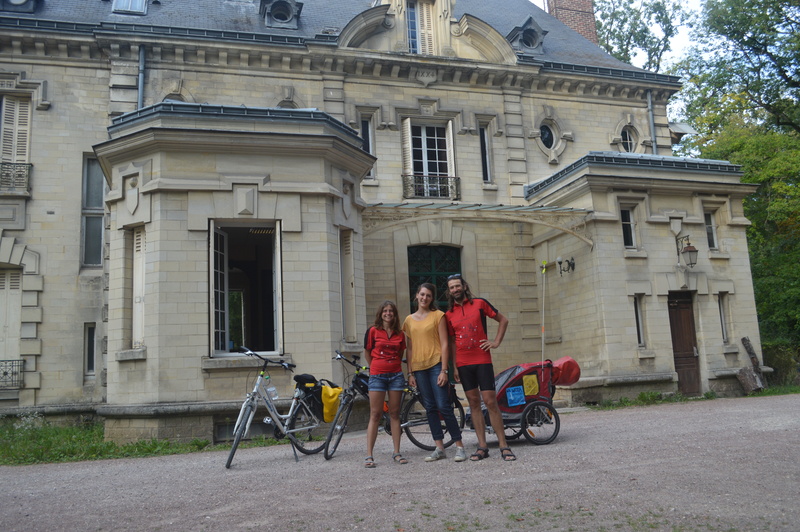 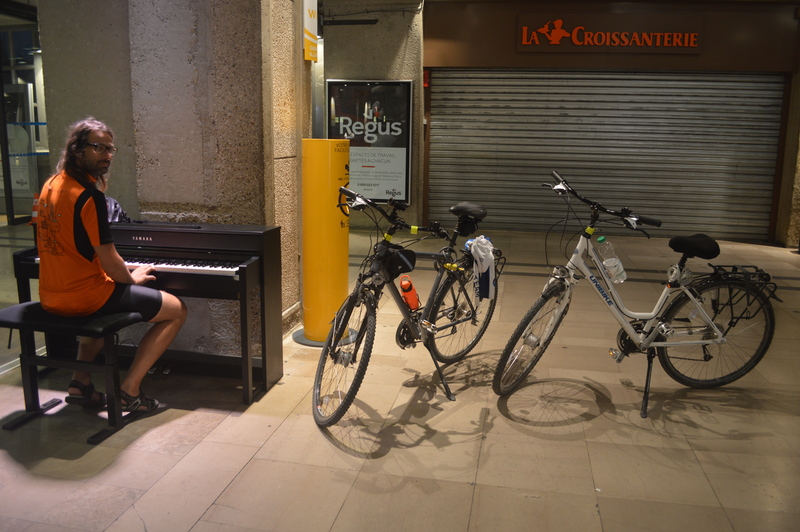 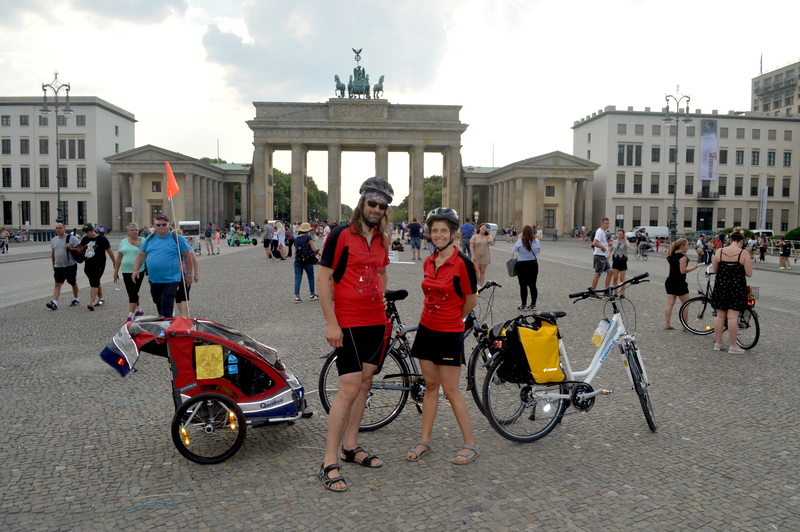 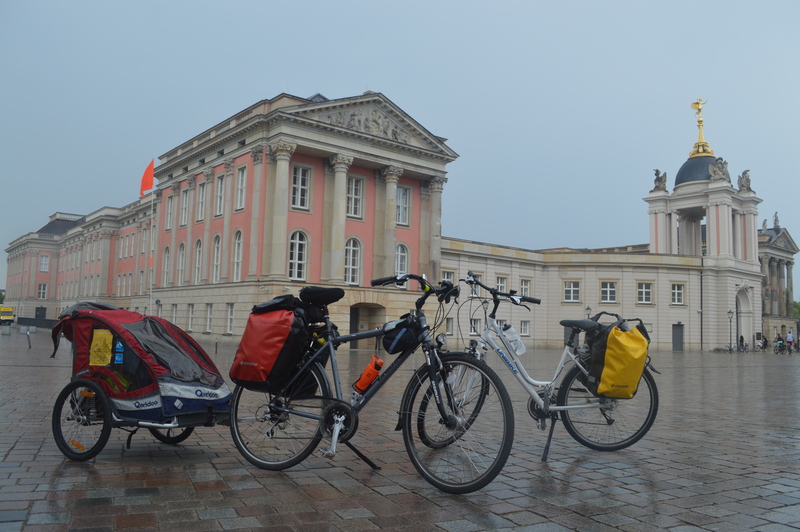 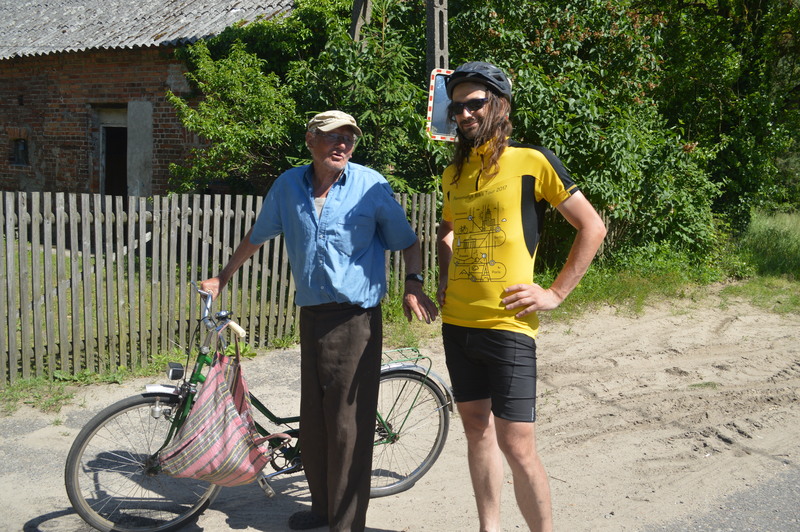 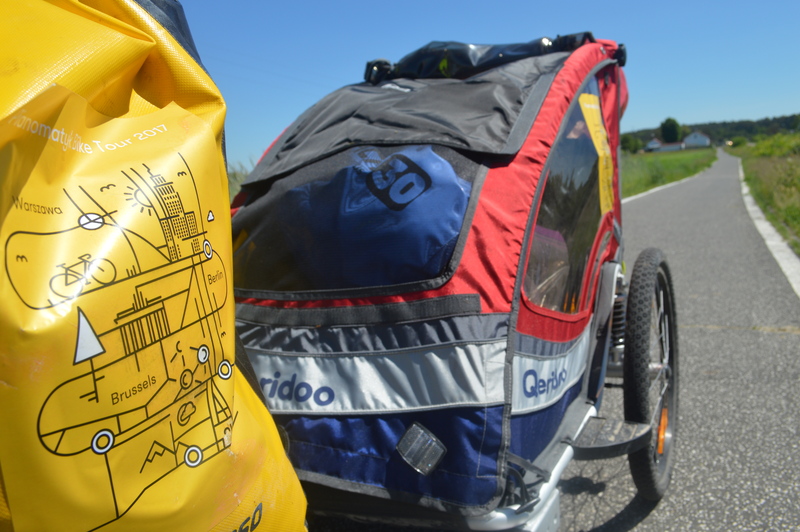 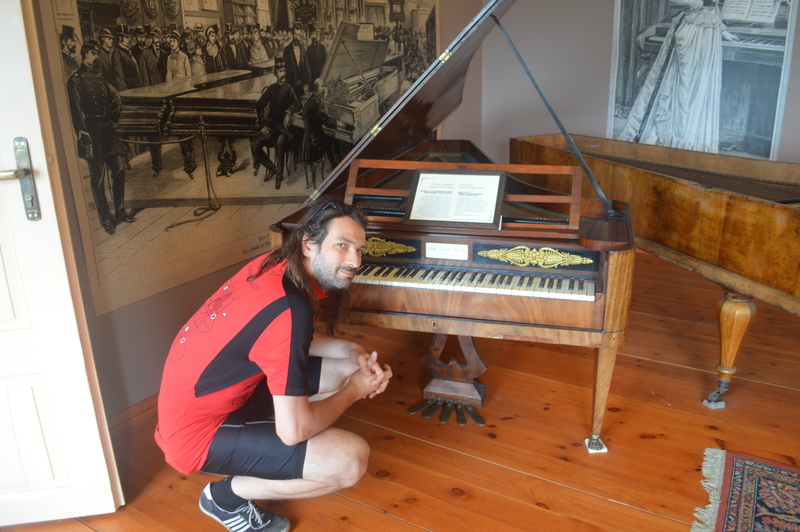 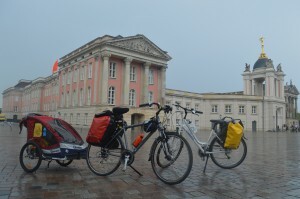 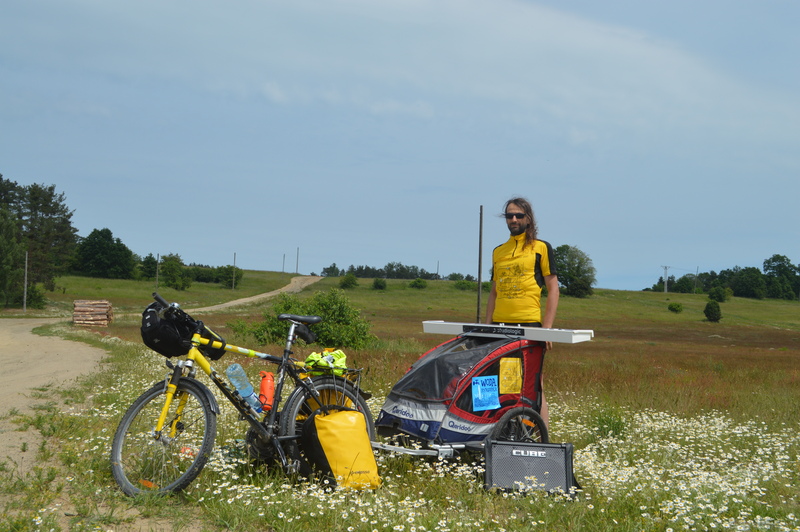 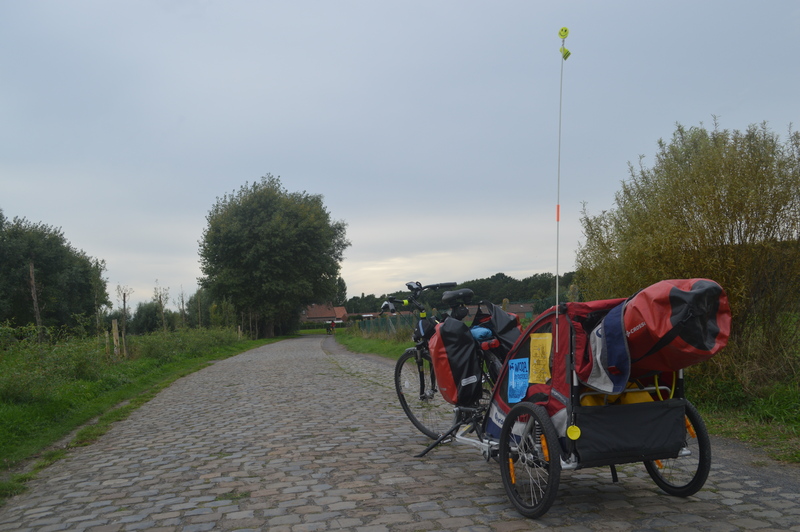 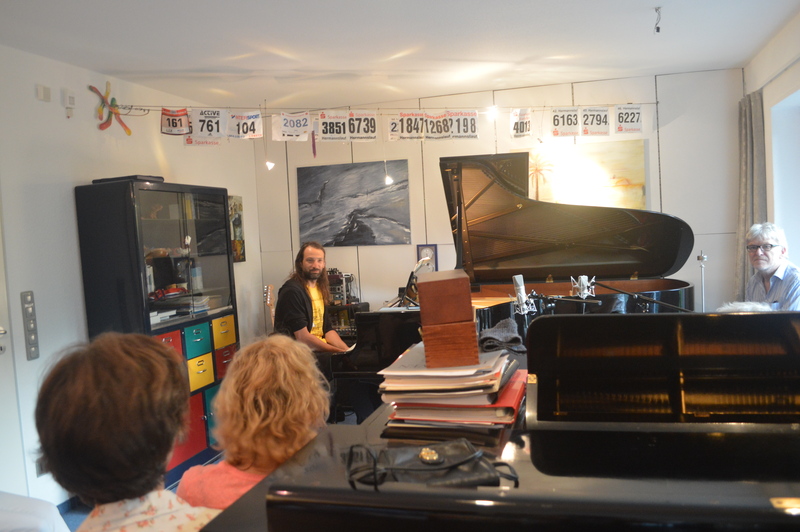 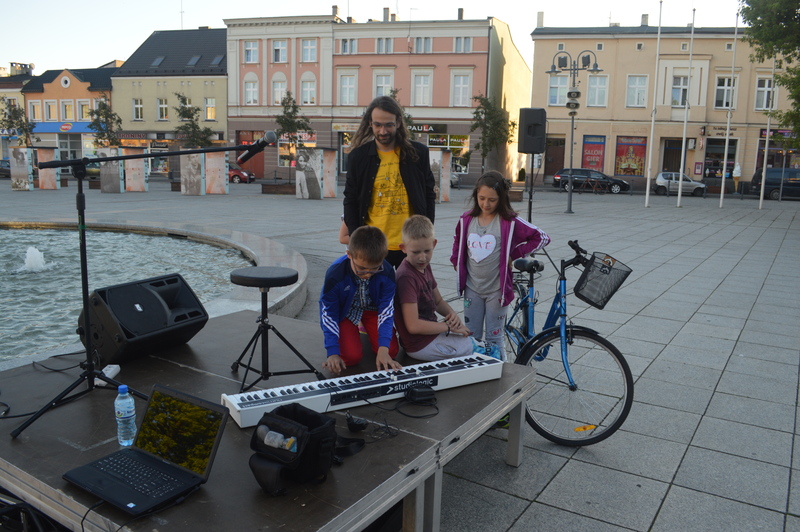 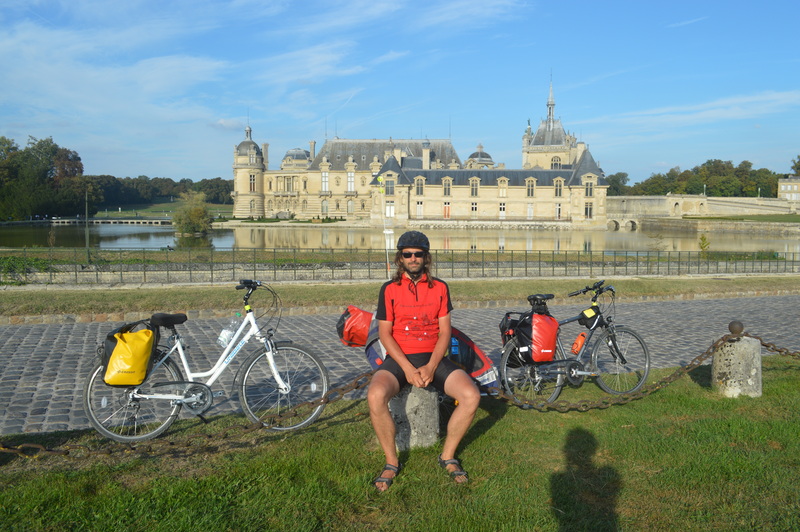 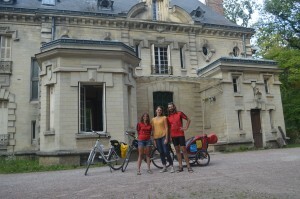 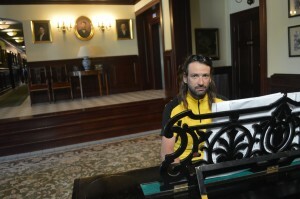 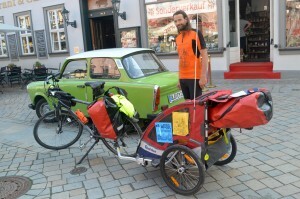 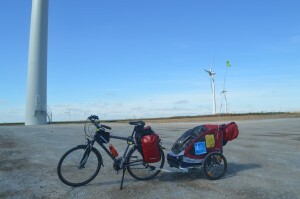 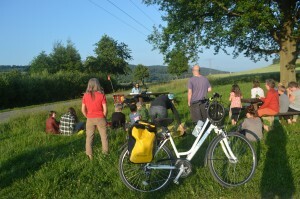 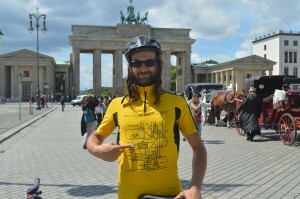 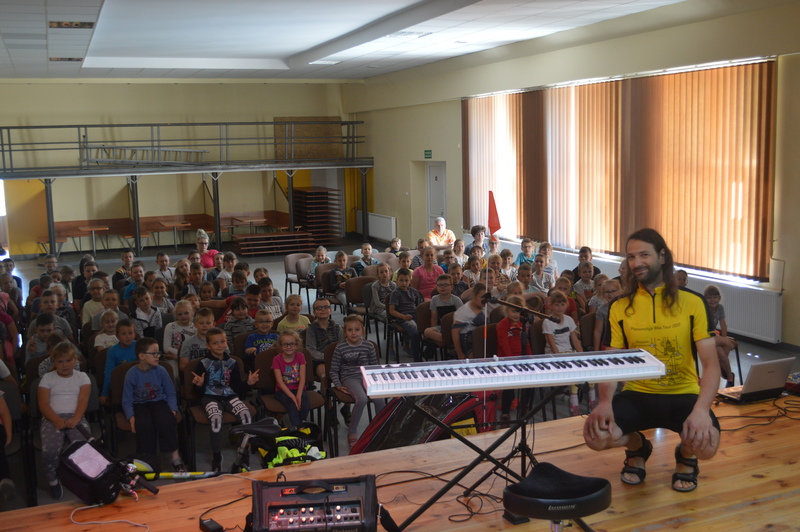 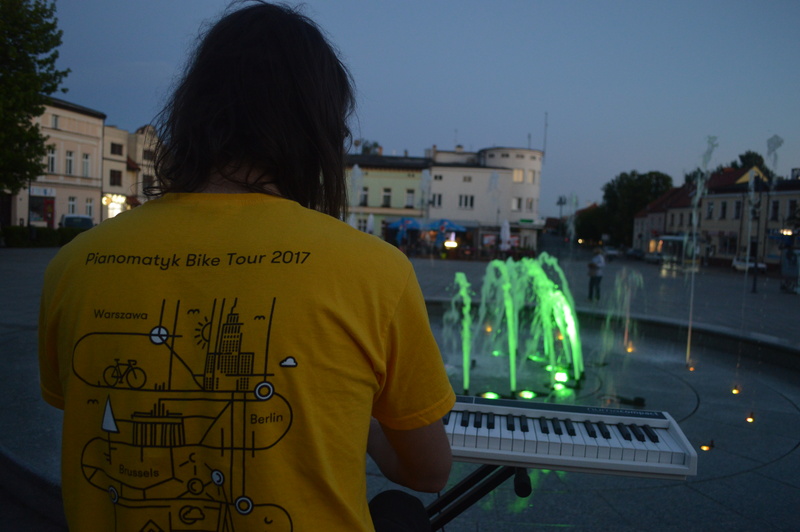 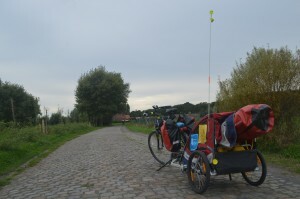 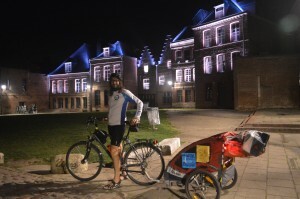 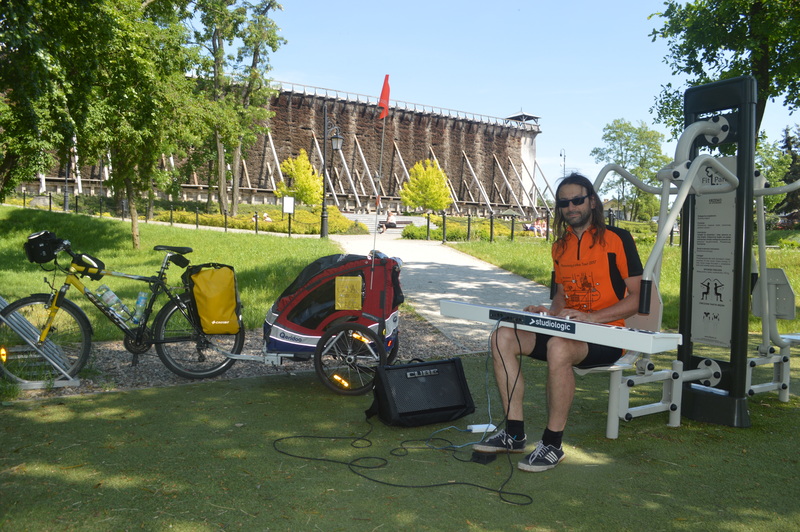 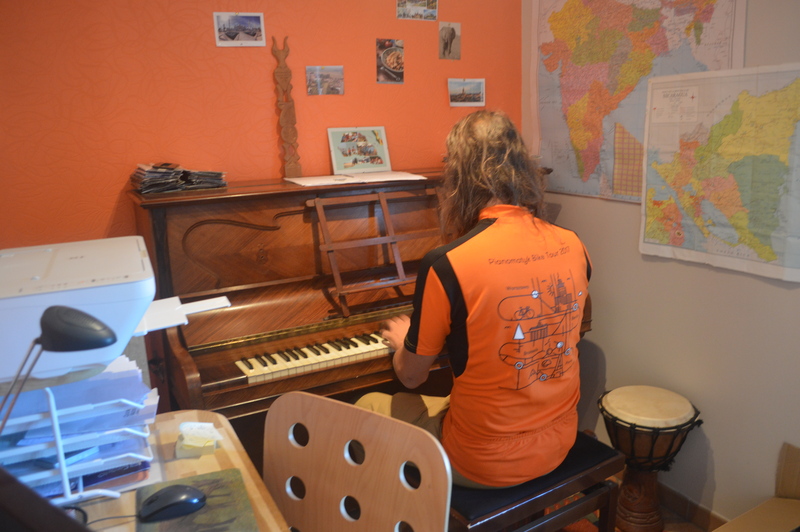 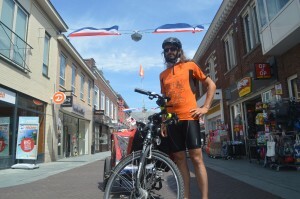 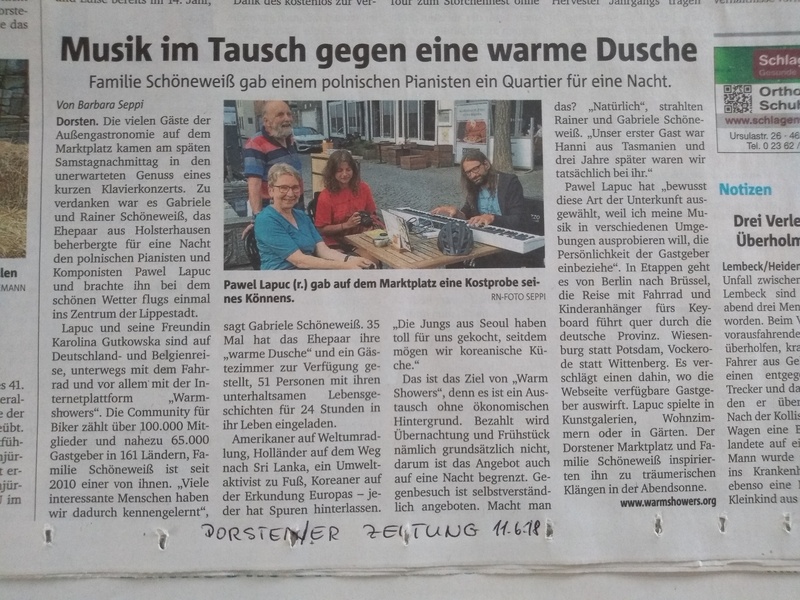 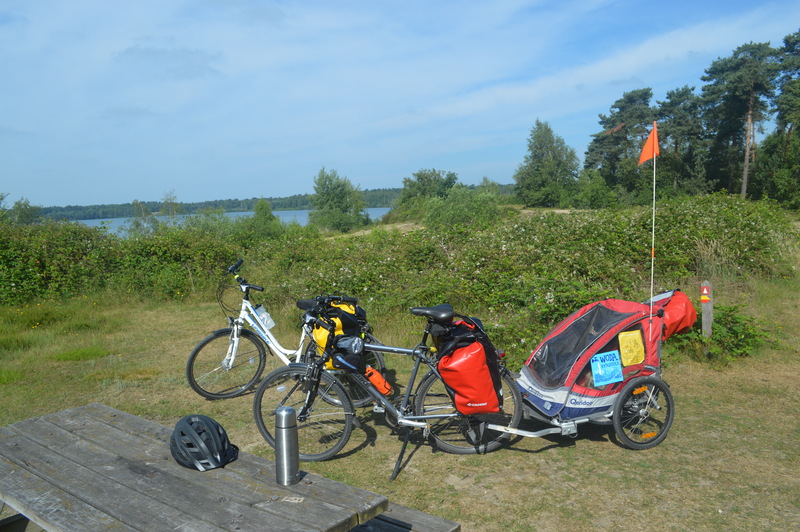 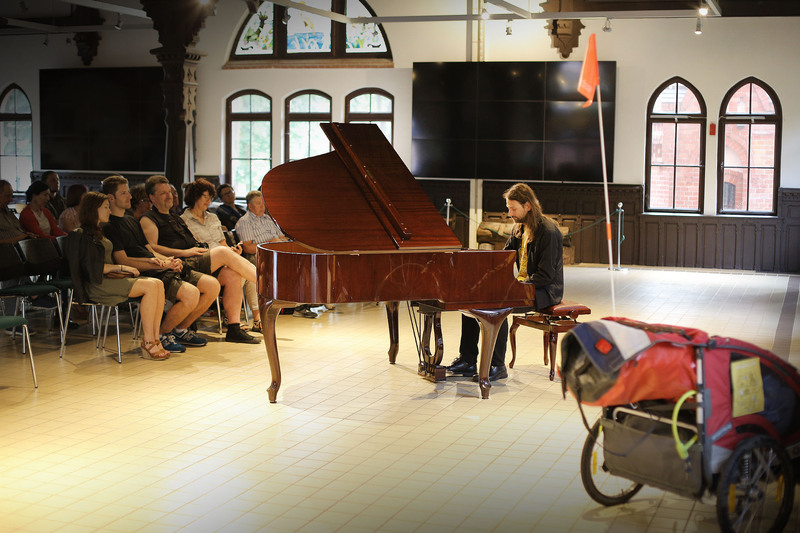 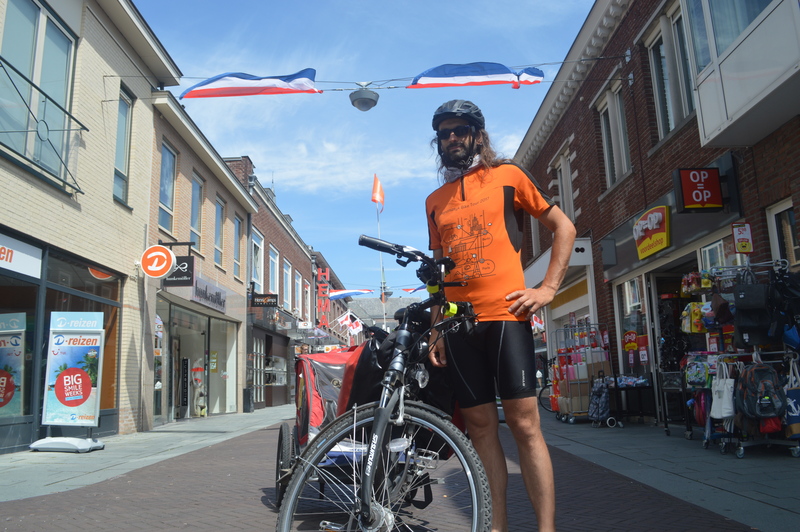 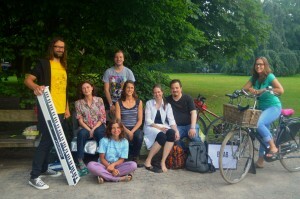 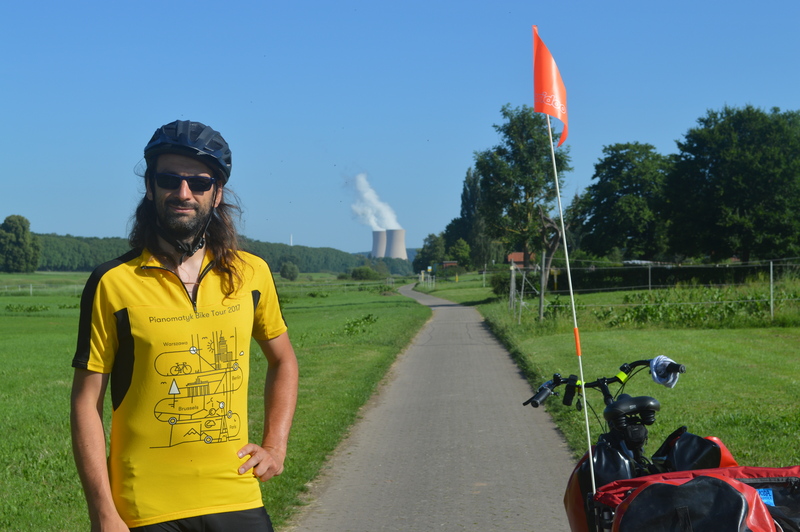 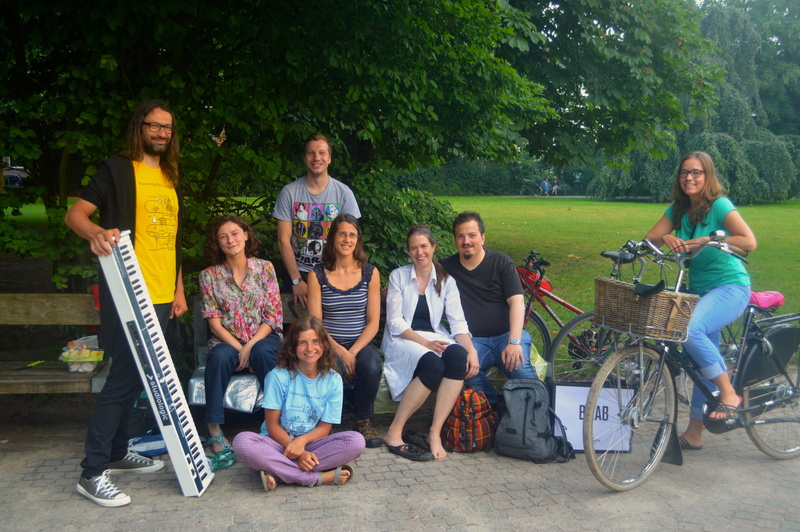 On May the 26th 2017 I started the first part of my new and quite unusual project – a bike tour from Warsaw to Paris via Berlin and Brussels with a portable keyboard on a bike trailer, playing different types of concerts along the way (official, house and open-air). 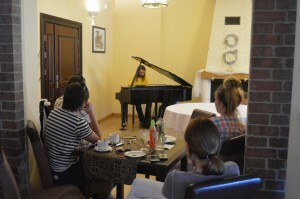 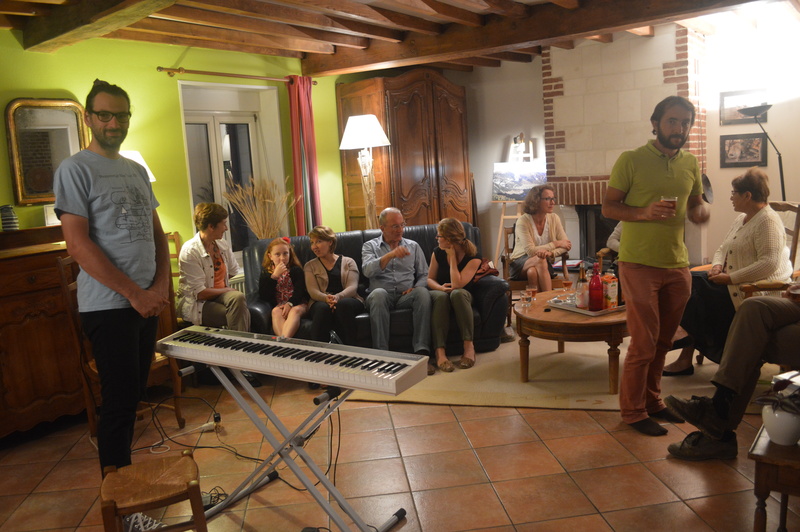 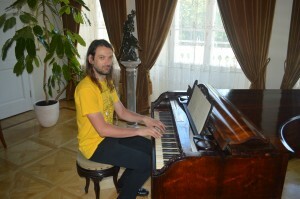 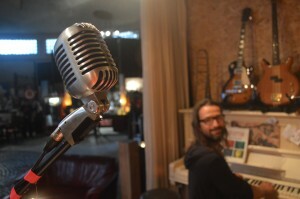 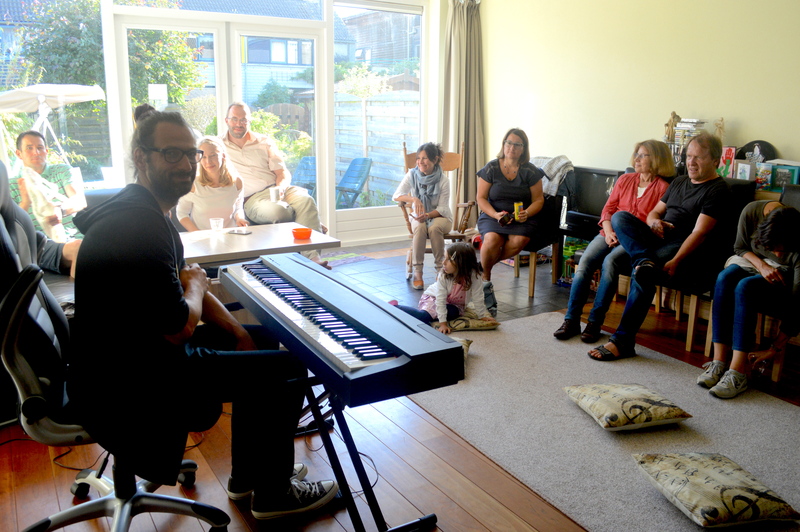 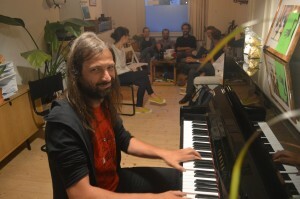 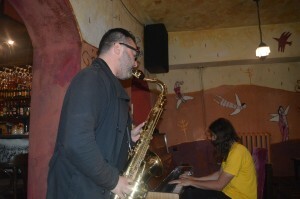 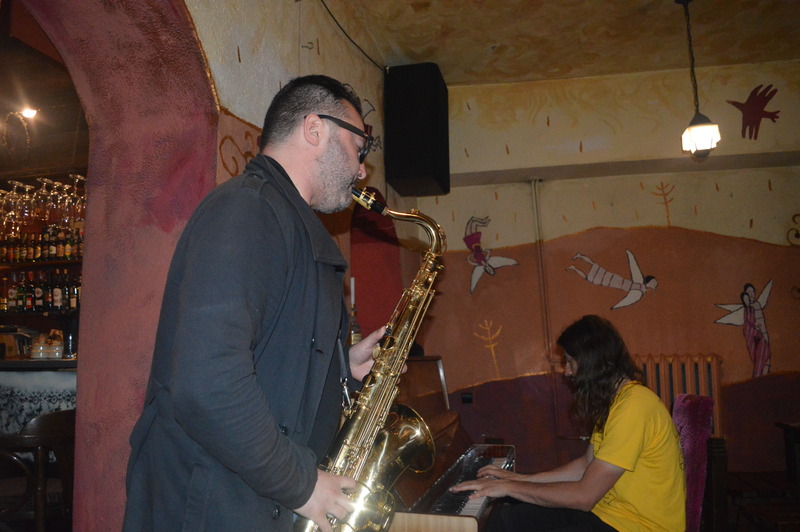 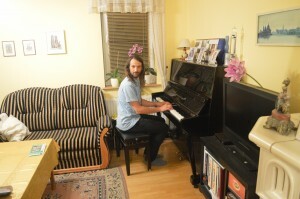 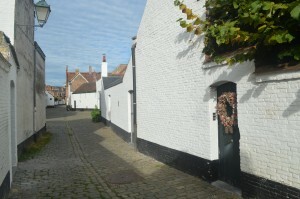 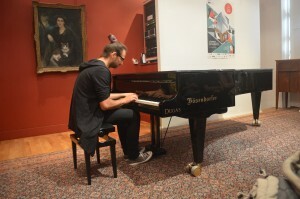 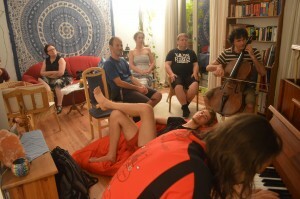 The tour was arranged by contacting music enthusiasts interested in hosting a house concert in exchange for accomodation. 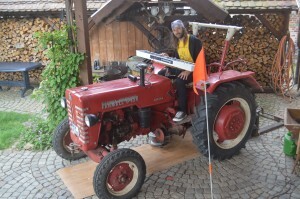 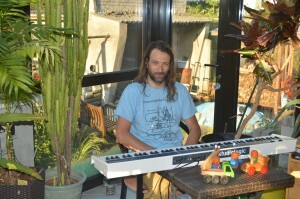 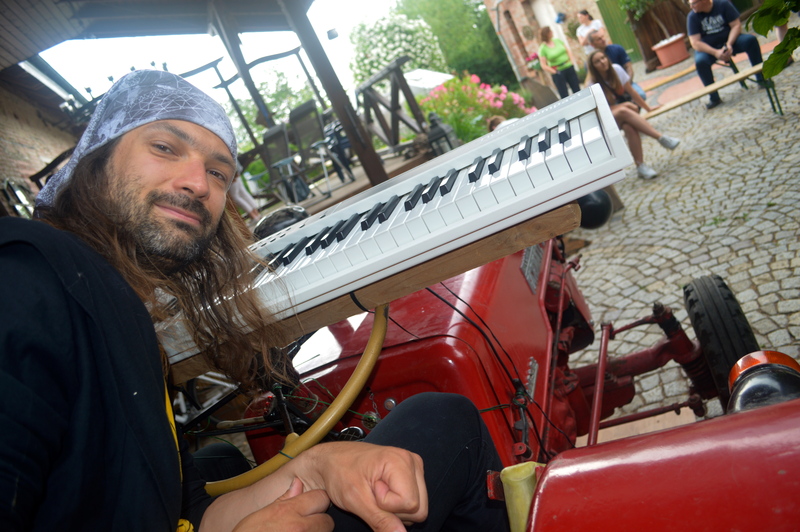 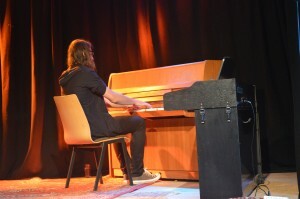 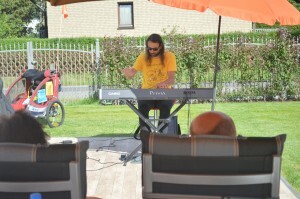 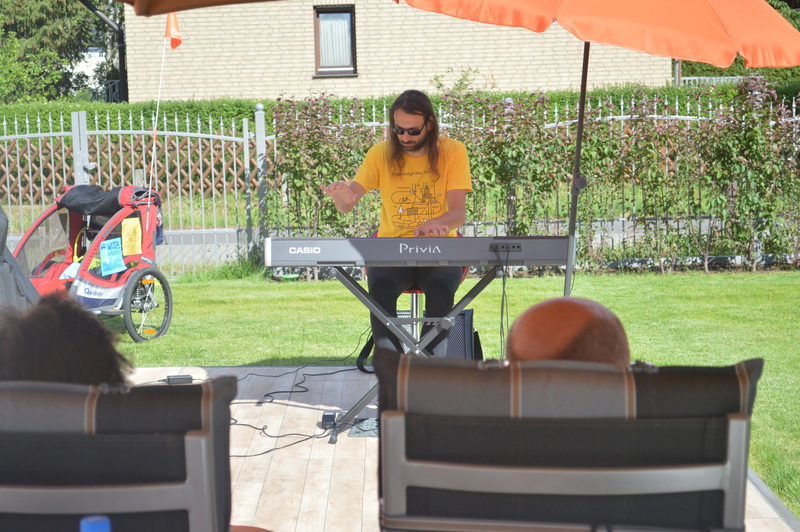 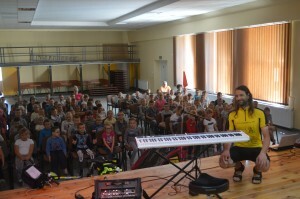 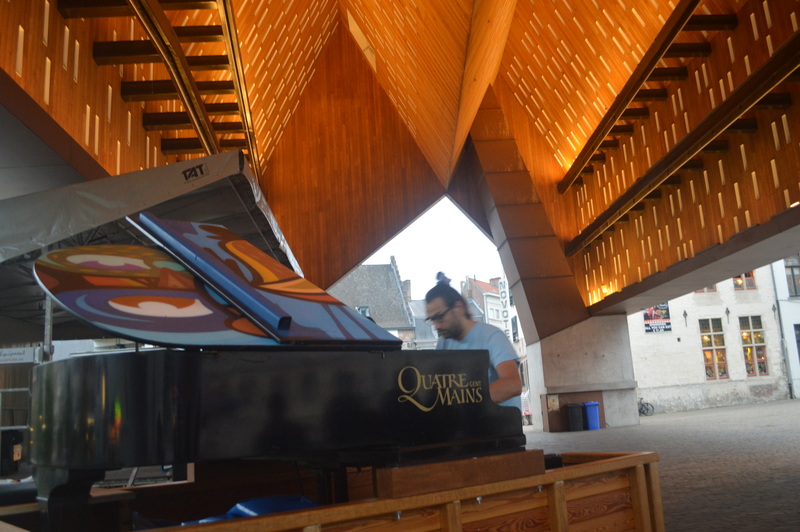 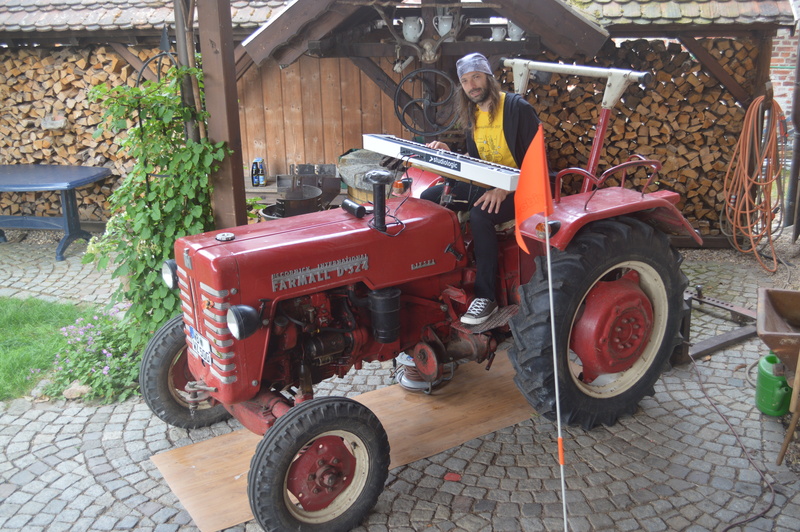 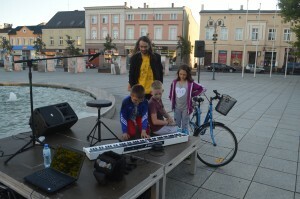 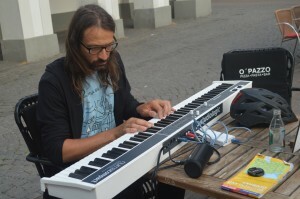 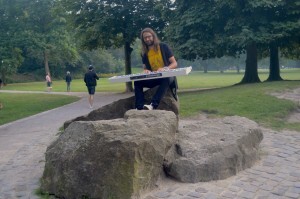 The portable keyboards enabled me to play some spontanious open-air shows. The project was finally split into 3 parts. 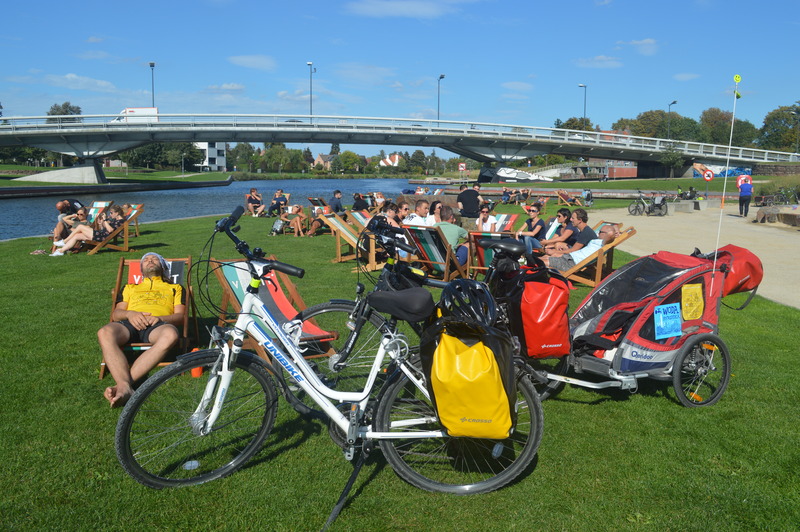 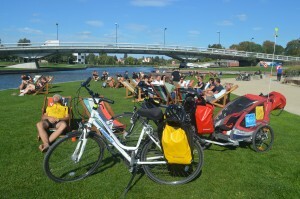 From Warsaw I went down the Vistula river to my home town Bydgoszcz. 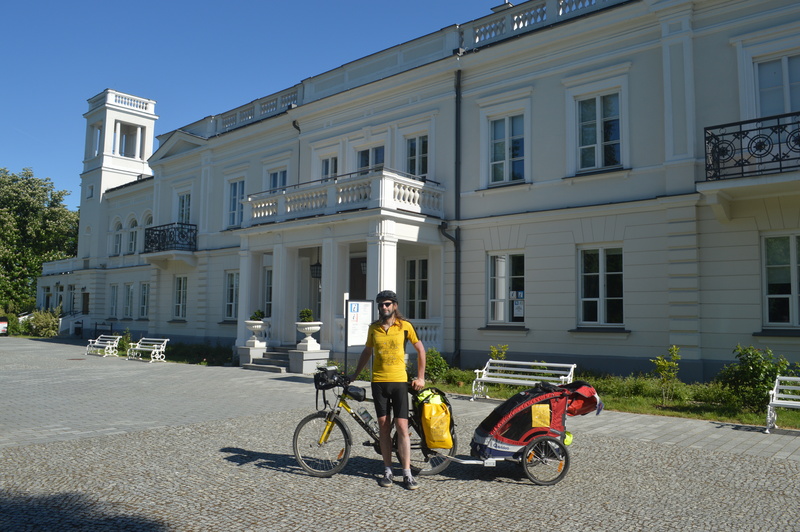 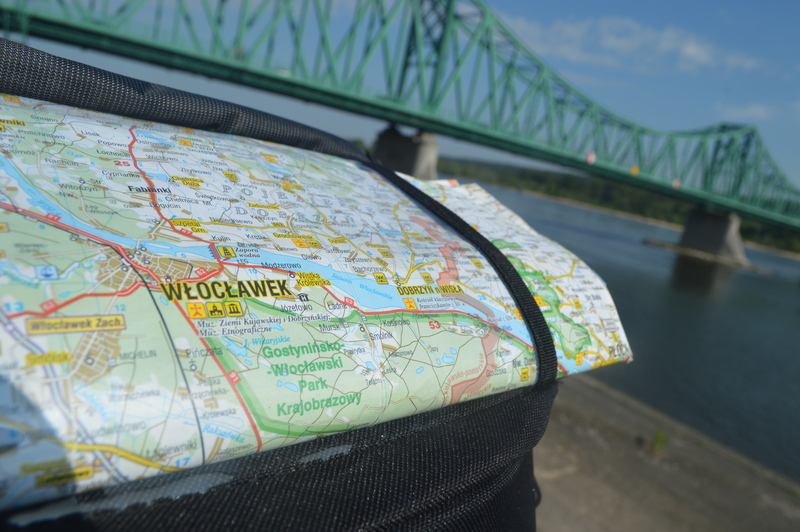 Next, I was heading via Wągrowiec and Gorzów Wielkopolski to finish the 1st stage of the project in Berlin. 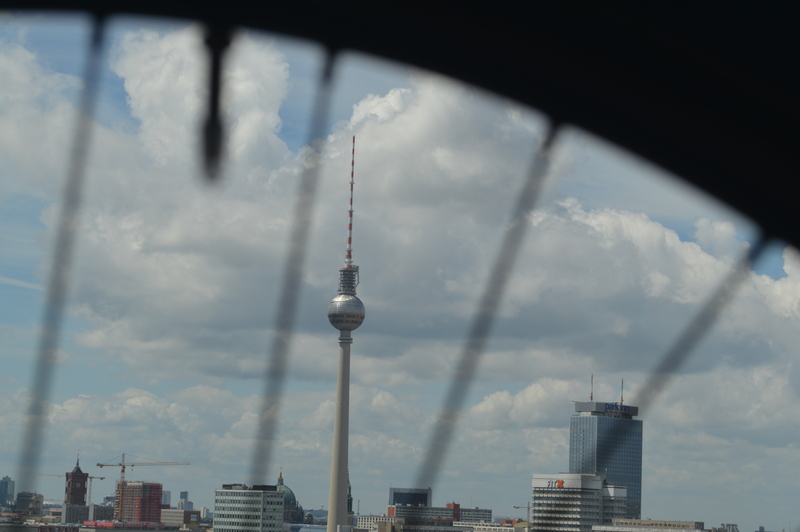 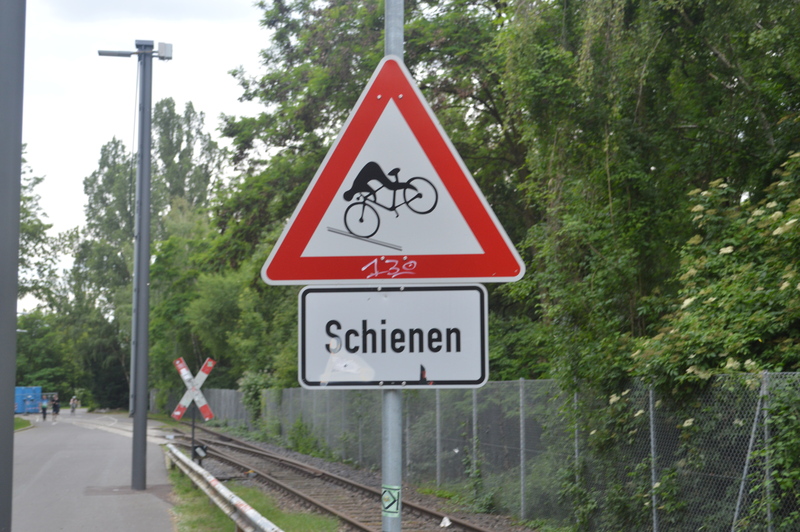 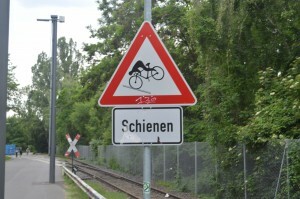 In the 2nd stage, following more or less the Euroroute R1 we wanted to get to Münster. Then passing via Dutch Eindhoven we got to Belgium, to Antwerpen and Brussels. 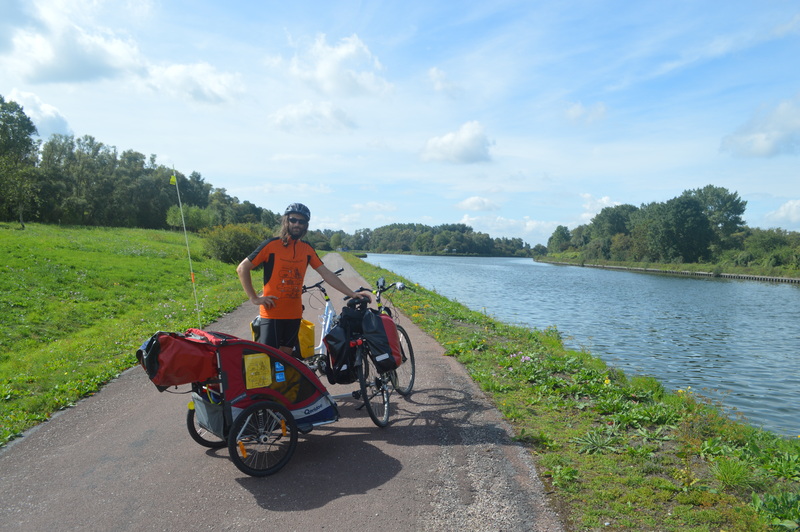 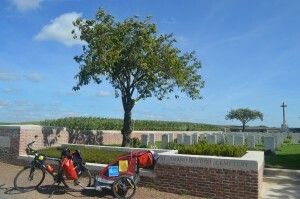 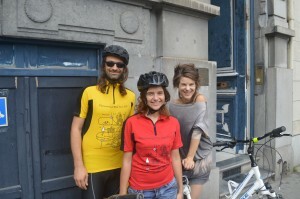 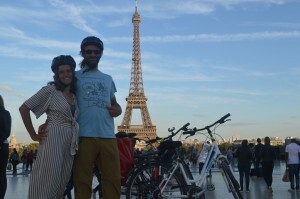 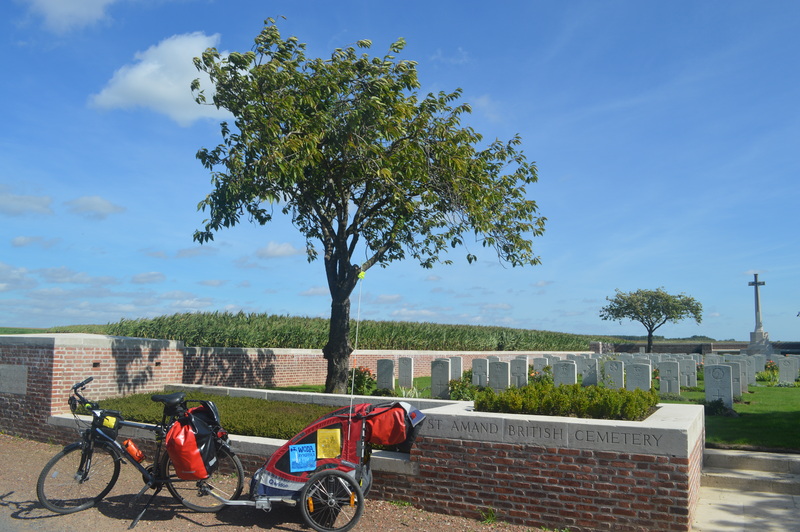 Finally, in the last part of the tour we passed by Gent, Lille and Amiens and got to the last capital city of the tour – Paris. The average daily distance was around 70km. 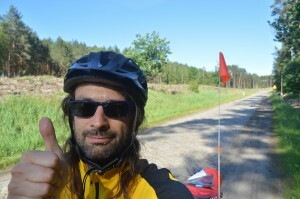 Except for a little part in the middle of Germany, close to the Harz Mountains, the way was rather flat, which was quite significant while traveling with all my equipement. 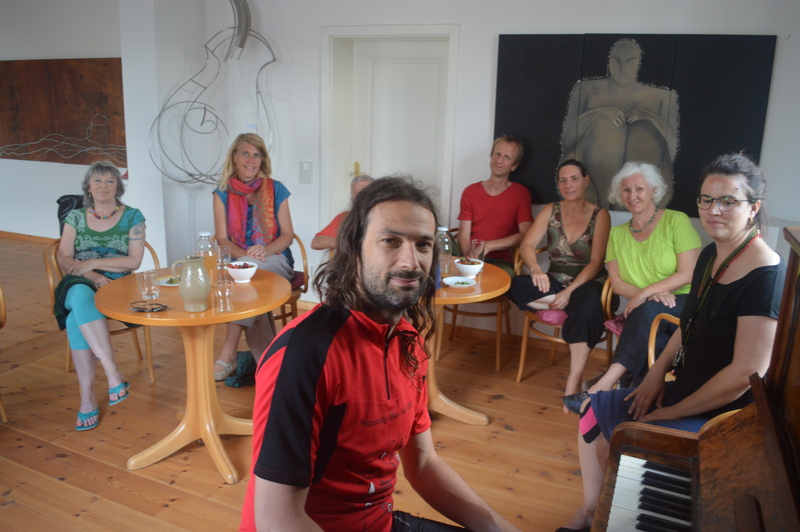 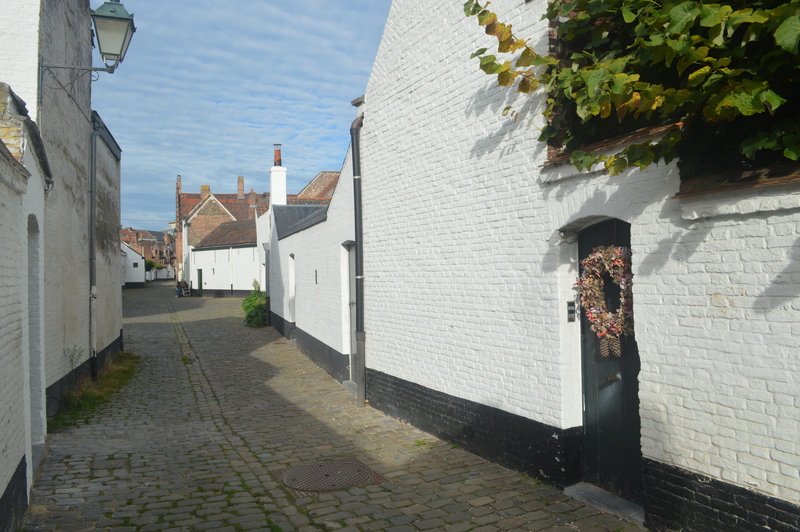 I was organising some part of the accomodation on the route in private houses of my family, friends, friends’ friends and some other people interested in music and willing to host a music meeting. 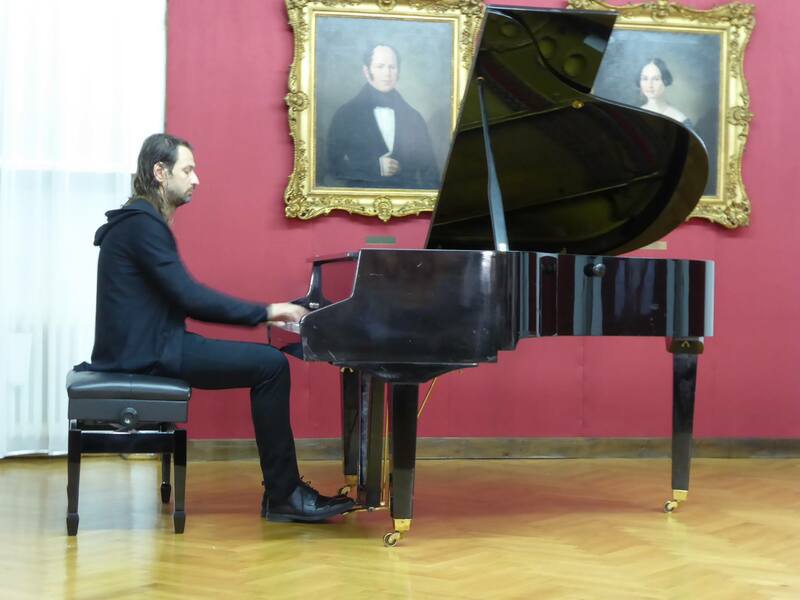 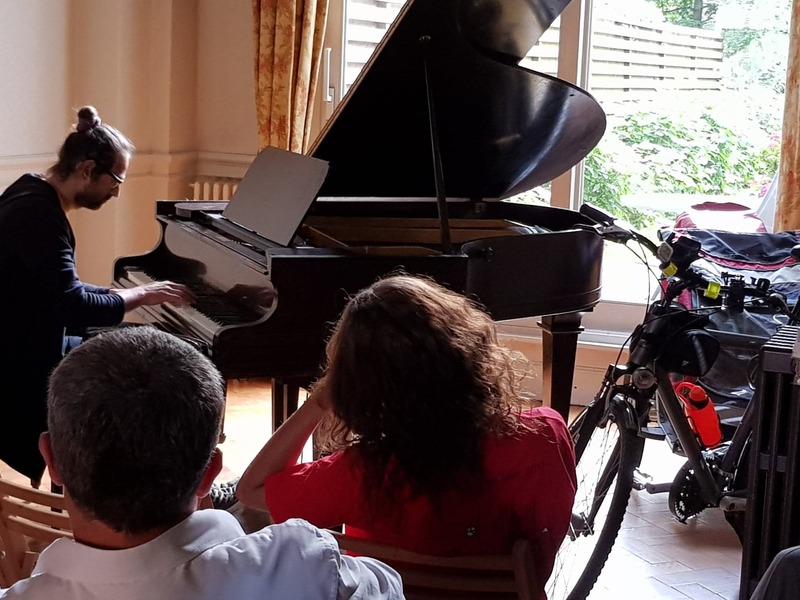 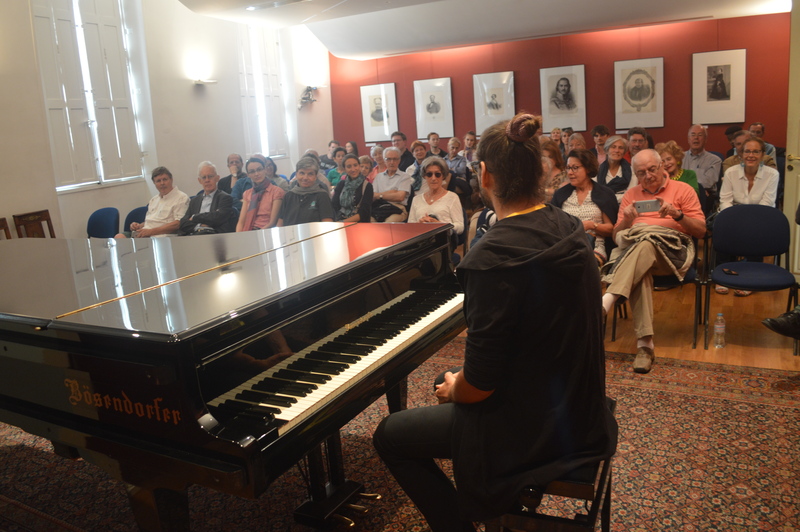 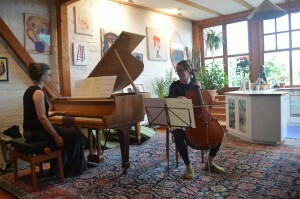 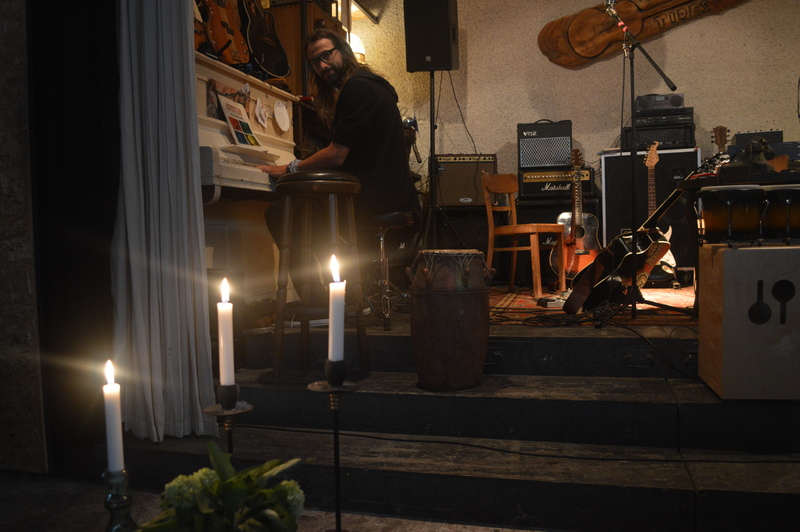 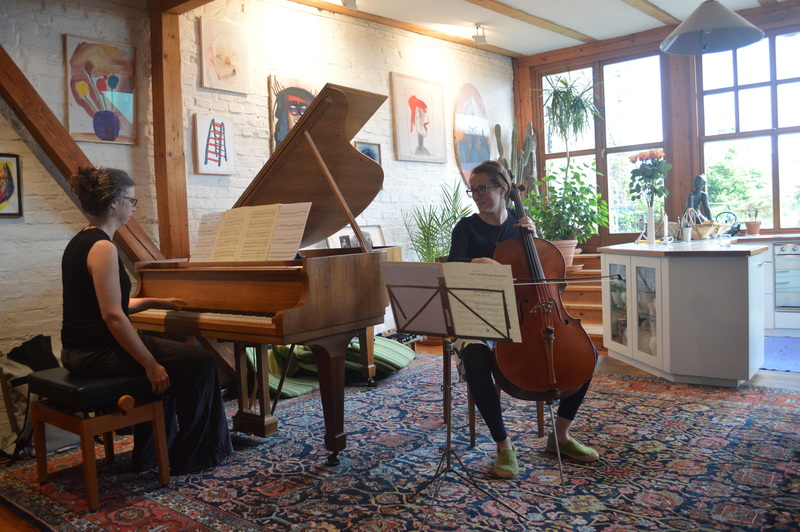 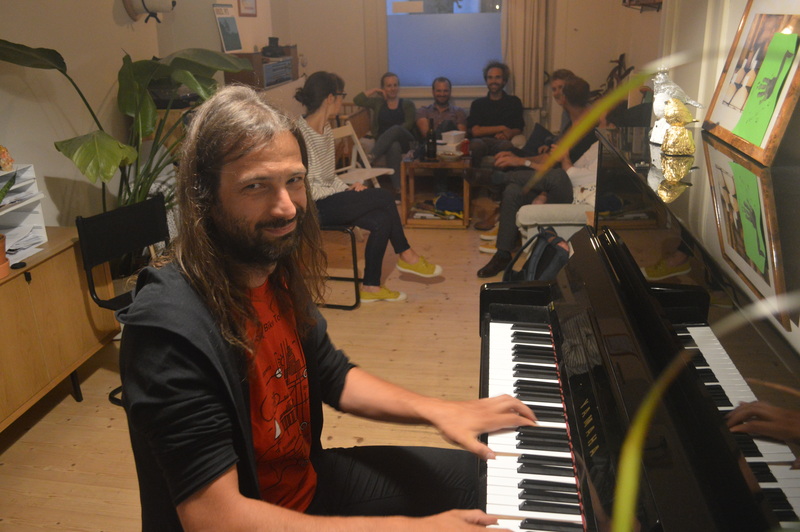 Contrary to official performances in the concert halls, with quite a formal atomsphere and a visible division between the stage and audience, house concerts enable much more personal and intimate form of musical experiance in comfortable conditions among family, friends or neighbours. 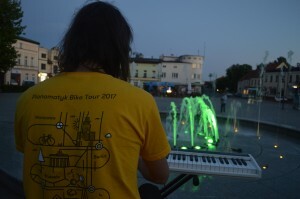 You can find the plan of events at the section: Koncerty. 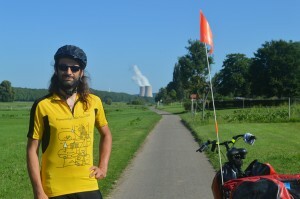 Some photos from the 2nd stage of the tour, this time in a team. 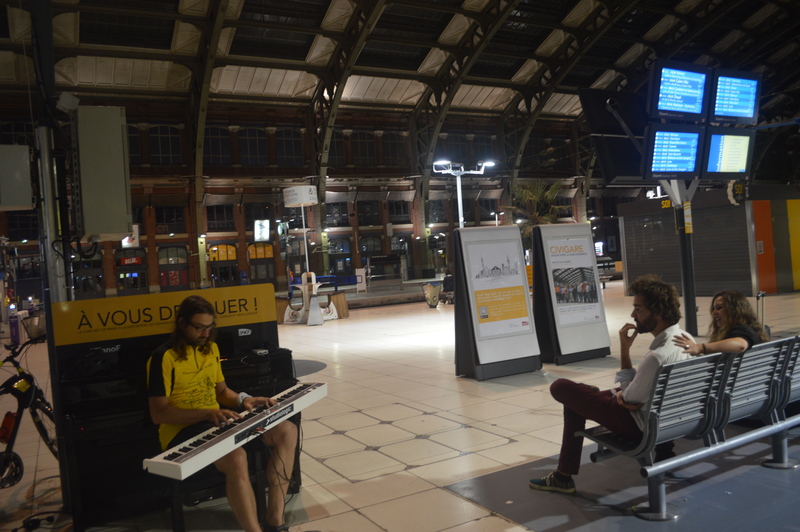 The initial route has been modified between Munster and Brussels. 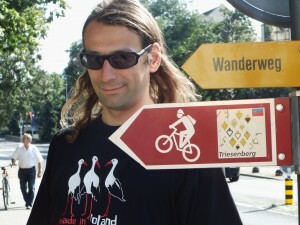 The 3rd and the shortest part of the tour. 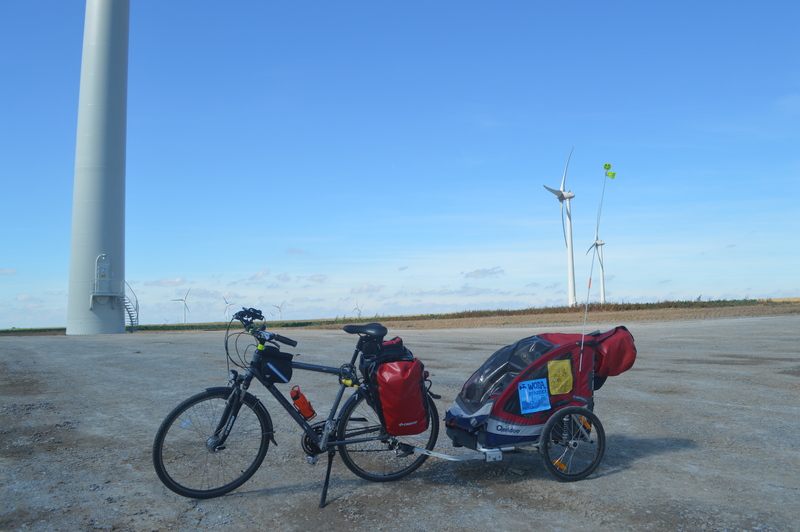 It wasn’t that easy however due to heavy winds. 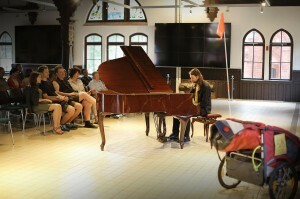 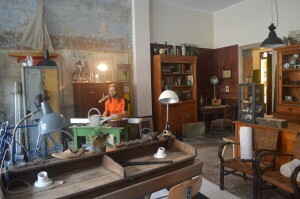 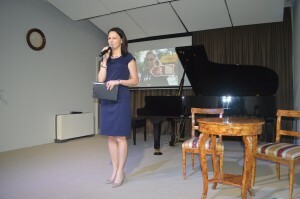 The final show took place in a Polish Library in Paris during European Heritage Days.